Welcome, feel free to browse around. 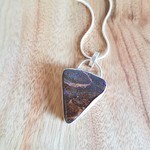 I am a jewellery maker that lives in the Blue Mountains NSW. 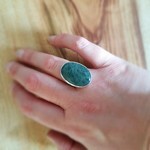 I make unique silver jewellery that has a rustic and organic appeal. 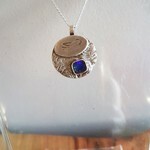 All silver jewellery in this store is formed from recycled sterling silver sheet and wire, into a fine artisan piece. Opal stones feature in many pieces, as well as many other gemstones. I love making custom orders, please message me for enquiries. 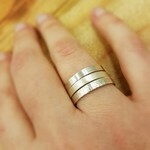 Custom order - 3 Thin textured sterling silver stacking rings. Silver wide textured boulder opal cuff bangle, medium size. Silver textured boulder opal cuff bangle, medium size. Silver textured cuff bangle, large size.